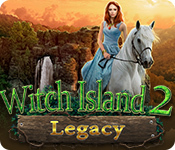 Legacy: Witch Island 2 is rated 3.9 out of 5 by 30. Rated 5 out of 5 by yowzasma from Absolutely Delightful Surprise : ) ! ! ! I loved everything about this fun game. Lots of hops and minis and a fun story. Artwork was another delight with a lot of color and the music was so relaxing. I even enjoyed the 'missed translations' and made figuring them out part of the game : ) Loved it ! :) I'm giving this sweetheart of a game a full 5 ***** out of 5 on my personal enjoy-ability scale. Rated 5 out of 5 by Scobeaux from Delightful I can't really add anything to what others have said, but I did want to add my stars. I loved this game, with its whimsical scenes, creative and different mini-games, excellent HOS's and really lovely graphics. I loved the game notwithstanding the truly terrible voice-acting and the hard-to-follow plot that seemed to involve a prince having to marry a beautiful girl that wasn't beautiful anymore. Or something. But it hardly mattered, since everything else was so well-done. It seemed to be of a good length and there were many many scenes with delightful surprises. I would love to see more from this developer. Rated 5 out of 5 by budden from A wonderful game From the graphics to the happy alligator in the bottom right hand corner of the screen, I really enjoyed this game. I can't say that about a lot of the CE's, so the fact that this is not a CE is truly refreshing. 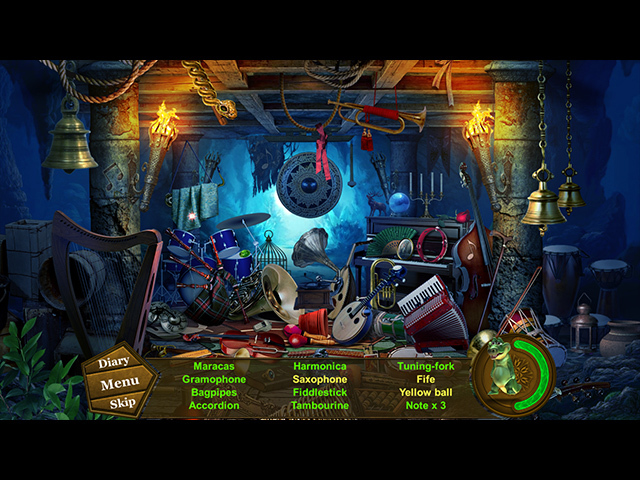 The puzzles were great and the hidden object scenes were o.k. too. I've been playing for quite awhile and had to stop to cook supper so it is not a short game and the puzzles while some are easy others I had to skip. Rated 5 out of 5 by Marja67 from Cool game Really like this game. 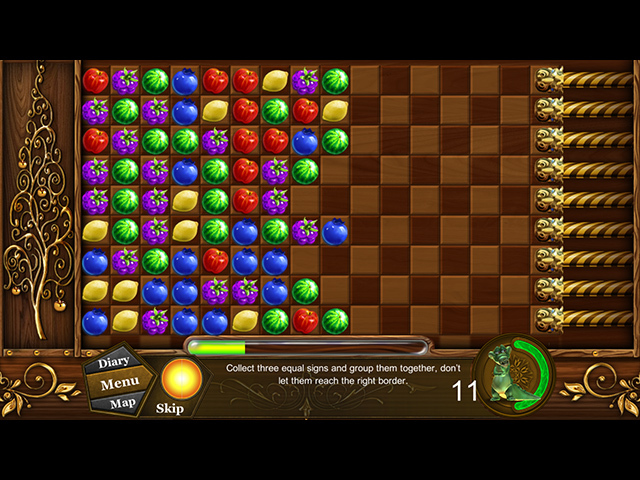 Good puzzles, pretty graphics. Going to play again. Worth a buy. Rated 5 out of 5 by Starrjazzmine from Surprisingly Fun I really enjoyed this game. Lots of unique and deceptively more challenging puzzles than what you initially expect. 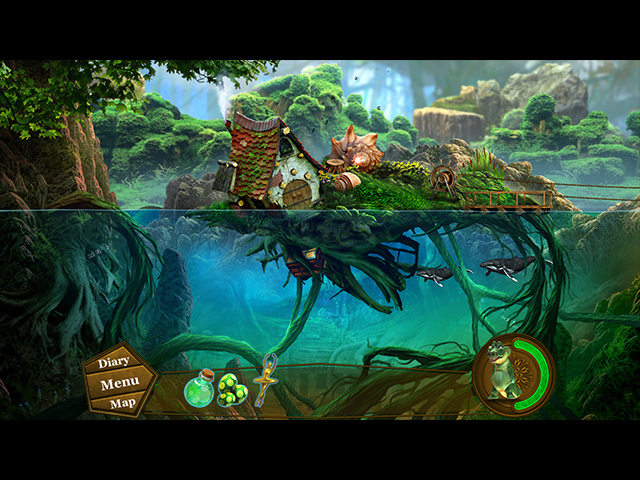 Loved the different take on match-3, putting out the fire with magic water and the eating smaller fish game. Much more thought provoking and fun to figure out. I also appreciated that this was simply a fun game without all the collectibles, morphing objects etc. which I find to be annoying after awhile. If you like lots of puzzles like I do, this game is for you! Please give us more games like this. Rated 5 out of 5 by 4aces4me from Pleasant, Happy, Bright and Beautiful Game I can't believe that the developer waited 6 years to put out the sequel to the original Legacy Witch Island. That game has been a family favorite for years. Requires Windows 7 or more. Lucky for me I now have two computers, one with Vista and one with Windows 10. Beautiful, bright graphics, easy game play, happy stuff. You can meander in this game for hours because it is so pleasant. Senior citizens give this one a try. It's a keeper. Rated 5 out of 5 by gallica2 from a gem! loved everything about this game. the puzzles (my fave part of any game) were innovative and challenging with various levels of difficulty. graphics were clear and nicely rendered. story line was engaging and the pace excellent. good job! Rated 5 out of 5 by boxer306 from Fun What fun! I thoroughly enjoyed the demo and immediately bought it. Bright and colorful graphics. A refreshing game with no gloom and doom. I wish we could get more SE's like this one. I'm not into collections or morphs. Rated 5 out of 5 by 1955raven from UNIQUE FUN GAME!!! LOVE THIS GAME! BOUGHT THIS ONE! CUTE LITTLE CREATURES, SO MANY FUN THINGS TO DO!